Deluxe Arkansas Whetstone Honing Kit, 2-Stone Honing Kit with 3" Fine and 4" Medium Whetstones and 3 oz. Bottle of Superior Honing Oil, Convenient Tupelo Wood storage case keeps Stones and Oil organized. 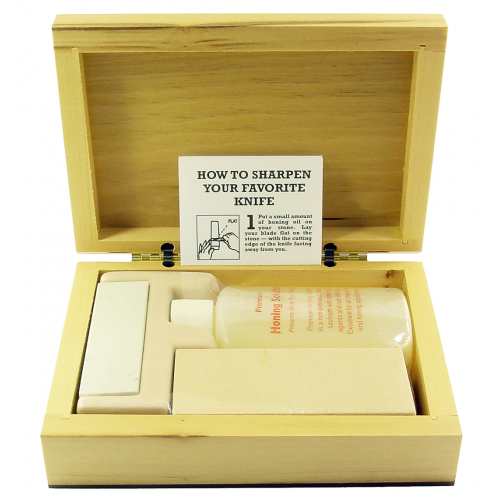 Easily sharpen all of your knives and tools.